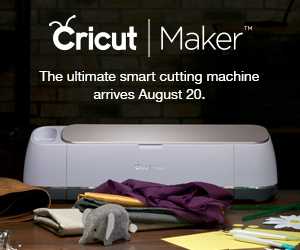 Home / Craft News / New Cricut Machine Launched: Cricut Explore! New Cricut Machine Launched: Cricut Explore! Just when you thought the Cricut brand was all but dead (and they skipped CHA so there was no reason to believe otherwise) the folks at ProvoCraft launch something brand-new- the Cricut Explore. It also looks much simpler to use than the Expression2- no screens. just a dial to set the material you are cutting. No screens- just a dial! It would stand to reason that you use digital software to prepare your images. Is there even a port for your existing carts? So…what do you think? Will this regain some of the fans/crafters lost to the Silhouette system? Does drawing and cutting simultaneously change the game for you? I am very new to paper crafts and have a Cricut Expression that my sister gave to me. I have no experience with any other brand or type of machine. I am very excited about this new machine. I know a lot of people are wondering if it will cut printed images like some other machines and I haven’t seen anything yet that shows it will, so I think this machine will still be a disappointment for many people. I do like the draw & cut feature, which is nowhere near as useful as print & cut, but it’s still nice. I think many people will like being able to use their existing tablets to design with instead of needing a computer. Not interested in the new Cricut Machine I work on a computer all day at work and really do not feel like learning software to design and print after 8 hours of that type of work. I prefer not using a computer for my crafting! Felt the same way about the Brother! I have purchased or won, every machine Cricut has made. My last 2 I purchased at launch and was sorry. I won’t purchase at launch, but will probably purchase after the bugs are worked out and its on sale, which usually happens pretty quickly from previous experience. I love Cricut, but have had 2 bad experiences. I loved the Imagine, but paid too much! due to purchasing at launch. Cricut never lived up to the promises they made with this machine and could never get the bugs out with the gypsy and CCR so they just discontinued it!!! It could have been Cricuts’ flagship! IMHO! It was/is an awesome machine. The E2 is the same. Cricut never followed thru with their promises for this machine either! So we’ll see what they are promising! They should wait to promote a new machine until they have already included those perks!! I’ll surely be watching HSN! If I did not already have a few dozen cartridges and the Expression machine, I would definitely start with the Sillouhette (sp?) machine, the monthly costs for shapes is so much lower. Provo craft is a money grabbing company. VERY interesting! I was wondering what the other companies’ reactions would be after seeing the SCAN N CUT ads! Hmmm someone’s been busy. yes, I too wonder about cartridges, etc… I’m assuming this one is not able to access any of the prior ‘hardware’ based stash we already have. Wow, interesting. It is cheaper than the Brother which has been on my radar. Cricut went form having the biggest booth to gone. I wonder why they are releasing it now? There would have been more exposure at CHA mmmmmm……. Is this one wireless?? I may be interested…my E2 is about worn out, but I still want to use many of the designs i have. It would be nice to be able to cut grunge board and switch back to cardstock without changing out the blade? Not sure it will cut that deep as it lists posterboard. I use the online design software they have now, but it’s so limited. If I could drop in a photo with the words to truly design something that might be a help. Provo Craft still doesn’t get it. I started with the personal Cricut, then graduated to the E. Bought tons of cartridges some of which I’ve sold. I don’t want to pay extra for getting single svgs or a monthly fee. I want to be free to create what I want. I don’t want permission! I bought the Cricut Studio software and was very angry that they don’t supoort it anymore. Glad I have my MTC and Cameo. I’m wondering the same thing, Jenny, where do I plug in the cartridges I still have sitting on my shelf? Mmh, I didn’t buy the Imagine, and look what’s happen to that one. They took too long, I’ve already bought a Silhouette Cameo. Unless the software can work with my existing cricut, I’m unlikely to look into any of it. I had an Expression and used it with the Craft Room software. It was buggy, slow, crashed constantly and you had to be online. From what I’ve read about this new machine, you still have to be online to access the images, even the ones you purchase. I don’t like that dial for choosing paper. Not being able to control the cutting speed was one of the things I hated most about the Craft Room software. It just couldn’t handle detailed images. Not for me. I’ll stay with my Cameo. I want to own my images and to be able to adapt them to suit my purposes. I can use anyone’s images or fonts or even make my own. The Cricut was a sturdier machine, and the blades were a better design, but the Cameo gets used every day. I got rid of the Expression. Dale – the website says you can still use your carts, just FYI. I’m really leery about this. I think the only thing that Cricut has over the Silhouette is that you can cut heavier materials with it (even though Silhouette has added the capability to cut heavier stuff, it still has to be their brand which isn’t as heavy as the generic stuff). I tend to agree with Joann, they sure did take a long time about this! Makes me question their judgment. I also question whether this machine will be as good as the Silhouette and whether their software will be as good as SDS. I have an expression and the old quickutz version of the Silhouette. I was going to get a Cameo and just have two machines, and so far I’m still leaning in that direction unless Provocraft can knock my socks off and convince me to use this as my only machine. Looking forward to your review of this Jenny. Oh also Liz – yes it will cut printed images, but I don’t know how that works. It’s suggested in the video on the site but I’m wondering if you have to scan it into your computer and then upload it to their software. I checked this puppy out as much as I could! Unfortunately the info on Cricut.com is limited. I like that it will work with the ipad but now I am hearing that when it first comes out that app will not be ready. Is this true? If so I will wait. But I will check it out on HSN. I see, they think they can make better that the Silhouette, I hope they do, it took them too long to realize the cardtriges system was dated, I am so glad I didn’t buy the Cricut when choosing my plotter machine. I have also heard that the app won’t be ready at release and at first it will be focused on a certain feature (“make what you want” or something like that?). I get the feeling it will first just have all of their pre-made projects on it and they say that later on they will update it with more features. I don’t think it will be a blank slate for putting together your own designs, at least not in the beginning. I have also not heard if they will have an Android app. Someone from Cricut said that at release the machine will NOT do Print & Cut but that is expected in the second half of 2014. I assume it will be like the Cameo where you use your own printer, and not like the Imagine where the printer was built in. This new machine doesn’t look like it has a printer in there! I was also wondering about that dial for selecting materials to cut and not being able to adjust it, but you can create your own custom settings for materials and save them. So if you have a brand of paper that doesn’t work with any of those fixed settings you can create your own. I am assuming that means you can adjust the speed but I’m really not sure. There is a $9.99/month plan that will allow you to access around 25,000 Cricut images (all of their non-licensed stuff, so no Disney, DC Comics, Hello Kitty etc images). I think they have a $99 yearly plan as well. Here’s the catch: In order to import & cut SVG files you MUST sign up for that monthly/yearly plan. I am not sure about TTF fonts but I think you also need to pay in order to use those. This is the biggest turnoff for me. Without paying the fee, you can import JPEG, BMP and a few other file types but not SVG. 4 Cricuts, including the Imagine, which I love, the Gypsy, an obscene number of cartridges and over 10,000 rewards points that are useless, I’ve made my last Provo Craft machine purchase. Customer service is abysmal and PC does not get it at all. I’m not paying for SVG files then paying more for the privilege of using them! Bought my Cameo last January and I never looked back. It is so superior in all ways to PC merchandise it’s almost sad. Now have an eClips as my backup and use my Cricuts only when I want to use a design from one of the cartridges. I was a big Provo Craft fan for many years and pumped thousands of dollars into them. Not any more……Thanks fof your review, Jenny! 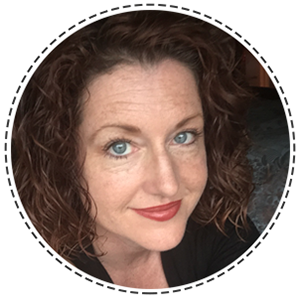 I agree with the comment from Kris (I actually could have written verbatim what she wrote)… I too have had (or still have) about 4 Cricuts, including the Imagine and a Gypsy and a ton of rewards points. I am done with Cricut and PC. I bought a Cameo about 18 months ago and love it. For the time being, I will continue to use my Silhouette and use my Expression until it dies. I have also been very impressed with the support I have received from Silhouette when I bought a new laptop and needed to download the software that I purchased. They were awesome to work with. I also love all the new products Silhouette is coming out with. Now if I just had the time to use them all ! Well, I was late to the cricut crafting party – I have had an original cricut and gypsy for a couple of years. I have times where I use them more regularly – others, not so much. I tried CCR when that came out but it took them so long to allow me to sync all my cartridges with the gypsy that it wasn’t worth it to me. I too work on a computer all day so the last thing I want to do is be tied to my computer to craft. The gypsy is a great option for that but I haven’t seen anything that states it is compatable with this new Cricut Explore. I have been looking to buy scan n cut or the cameo. I am all about SVGs. My girlfriend just mentioned that Cricut explore let’s you upload SVGs for free. Silhouette is charging $50. It seems scan n cut is also free but the machine costs 400 $s. I also liked the fact that the explore can cut 100s of materials especially the thicker cardstock, fabric, leather. I am going to research more before I buy the explore. Does anyone know where I can find it? Once you go Cameo, you never go back!! 😉 lol! I have an expression along with a decent amount of cartridges, I’m a teacher so I mostly craft for the classroom and I’ve been out of the loop and only recently learned about the cameo which I brought a week ago. So far I love the cameo. I have a ton of free downloads and I like how I can use the fonts my computer and no cartidges. When I purchased my Expression I paid close to $500 dollars for it (I’m impulsive) plus the cost of the cartidges I’m over $1000 invested. The cameo is a much better investment I’ll stick with it. For those of you who are thinking about getting the new cricut explore I suggest that you go to cricut and read the informational .pdf’s they have up. There is a lot more detailed info there. This machine works with FREE on-line software that stores all of your images and projects on the cloud so that you do not lose them if you have computer issues, this also allows you to log-on and access them from anywhere. You can transfer any cartridges or digital content that you have already purchased to this new software. You can upload and use any .svg for FREE. and there will be a software upgrade later this year that will allow you to use the built in led scanner to scan and cut/draw you own images. You can also purchase cricut digital images individually, in groups, or via monthly subscription. This machine is supposed to be of much improved quality and a thousand times more accurate in it’s cuts and the new CEO seems to be much more focused on giving the consumer what they want. I have a Cricut Expression; I don’t own a lot of cartridges, because it is silly that they are so expensive. Well Shanna, I don’t think the new CEO is more focused on giving the consumer what they want! on-line software Cricut Design Space – CDS: FREE…. well, it was not a FREE software; customers did not want to pay for the software, so they changed their policy. Not trustworthy to me, because how can you sell a machine only useful if you purchase CDS. No it is not a computer, it is a crafting machine. on-line CDS: You can cancel at any time. If I cancel my subscription, what happens with my collection of purchased .svg and .svg I uploaded previously? Well, maybe it is a nice piece of accessory in my craft room. – no choice if you want to save images and projects on the cloud! I want to store them on my computer. So give us the choice to decide where to store. So nice of Provocraft to care about us losing images and projects if we have computer issues. I just wonder what happens with these images and projects on the cloud. Do the creators have their rights? Or does Provocraft owns it all? Provocraft’s policy: you can get to your images, but you can’t own them. – It is funny to read: You can upload any .svg …., so if I buy a .svg at another company and store it on the cloud. That does not sound trustworthy to me! – Another promise: the CDS will be upgraded later this year …. then you can scan and cut/draw ….. a strange thing, since they you’re buying a machine with these qualities. Funny: they still sell cartridges, but you can’t plug them in the Cricut Explore. You’ll have to link all your cartridges. Outrageous!! It is funny to read on the internet how so many buyers are/were creeping out, because their machine could not be delivered. Also it seemed that they bought a useless machine, because the CDS was not ready at the moment they purchased it! The CDS will be released at a later date. I am not bashing Provocraft, but their policy is not a customer friendly policy. They make it clear that you *must* have high speed internet access to use the machine. If that is not acceptable to you or any other person then it makes sense to not buy the machine. My internet has gone down on a few times in the 10 years or so I’ve been with my current provider (Cablevision/Optimum). For people who live where internet service is unreliable, this may not be the best machine to buy. For those with reliable internt I don’t think it matters. As for purchasing SVGs elsewhere and uploading them to Cricut, why is that an issue? If you bought them somewhere else then you should still have the file stored on your own hard drive. After all, you had to have it on your hard drive in order to upload it to Cricut Design Space. Once you upload it, Provo Craft doesn’t sneak it and wipe the original off your hard drive! They are available for you to use with any other brand of machine you want. The Cricut files that you can purchase online through Design Space (or Cricut Craft Room) are specific to Cricut. They are not generic SVG files and will not cut on another brand of machine. If you buy images from the online Silhouette store, you can only cut them with your Silhouette. Both companies have their own proprietary images. Generic SVG files can be used with both machines. If you want to make sure you can use your images whenever and wherever you want, buying SVGs is your best option. It won’t matter if you decide to buy a different brand of cutter later on. There was a problem with CDS one day when the second wave of machines were shipped by HSN. The people who got the very first shipment in February didn’t have problems. It was only when the second wave went out that some people did, and Provo Craft fixed it later that same night. I got my Explore from HSN the day after that happened and had no problems. Also, I had my machine shipped to my job because I don’t want to sit in my apartment all day waiting for deliveries. I set it up at work to try it and had no problems. When I got home, I connected it to my home computer with no problems. You are no longer limited to cutting from just 2 computers with the Explore. I can bring it to my sister’s house and connect it to her computer and cut from there. I know Cricut Craft Room limits you to having only two computers authorized to cut and you do have to deuathorize them if you get a new computer. That 2 computer limit no longer applies to CDS and the Explore. So far I’m happy with my machine. I was actually getting very interested in the Brother Scan N Cut until the Explore was announced. The Scan N Cut still sounds great but for now I’m happy with the Explore. The cuts are so much better than previous Cricut machines. Perfect scallops, perfect tiny circles, perfect tiny, intricate cuts. Hey- it’s Jenny. I just want to chime in about a few things. Regarding Mandy’s comment about price- she is referring to ONLINE SOFTWARE. Cricut has a free one (Cricut Design Space. The previous one was Design Studio and did not perform well.) Silhouette ALSO has a free one that you can upload/download with your machine. If you want the “pro” software that will cost you $50. Brother’s CANVAS online software does NOT dwell on your PC- it’s online only- and it’s FREE. As for what it will cut- well, they’ve offered me a machine to review, so I can’t speak to that from first-hand experience. So I’m reserving my opinions until I can see what it does for myself. Judi- just to be clear, you do NOT need software to use the Scan N Cut. Please see the link in the other comment for the review of the Scan N Cut. I have an Imagine it will print and cut but will not just cut I would not buy another one.